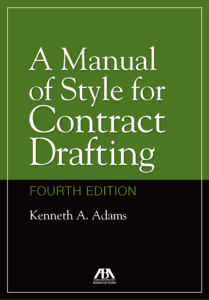 What’s New in the Fourth Edition of “A Manual of Style for Contract Drafting”? 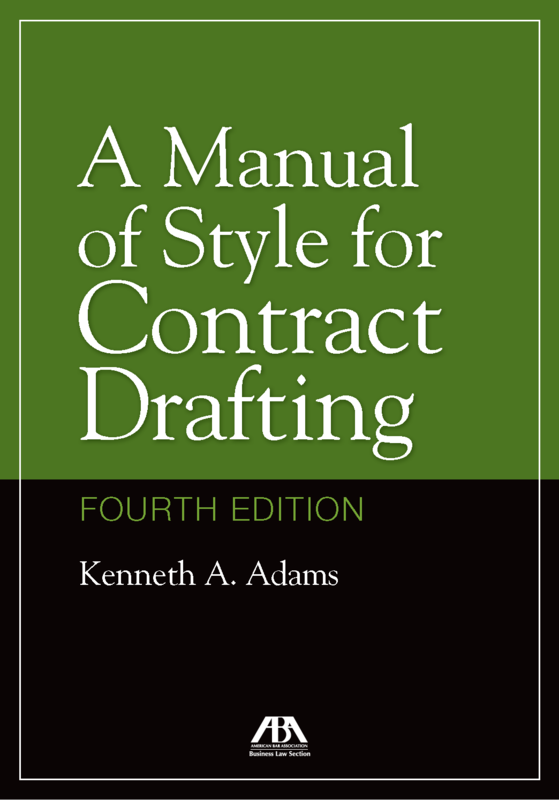 The fourth edition of A Manual of Style for Contract Drafting contains about one hundred pages of new materials. The changes vary from entirely new sections, to extensively overhauled sections, to countless tweaks. 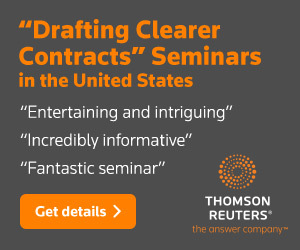 The preface gives you a general sense of what has changed, but if you’ve become very familiar with the third edition, you might want more detail. 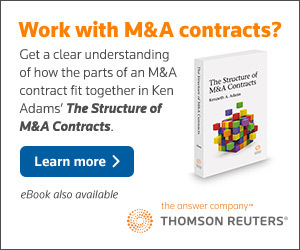 Go here for a PDF of the table of contents of the fourth edition, marked to show changes from the table of contents from the third edition. 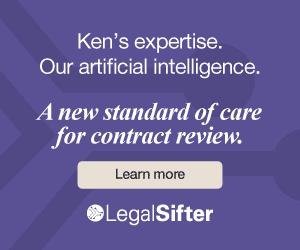 If you need more than that, side-by-side reading of the fourth edition against the third edition might be your best bet.